Each year I am proud to adventure through the most incredible literary selections with our children. Using Sonlight is truly an experience I wish I had had, but am so blessed to give our children! I have read some titles that were hard to swallow – deep content, thoughtful multicultural exposure – and have tasted and seen the presence of the Lord in all areas of our education at home. Here, 5-year-old Joseph shows off a real letter he wrote thanks to his Handwriting Without Tears program and a writing prompt from Core A. Carron says Joseph felt very grown up when he mailed his letter; he was so pleased with his ability to communicate. Handwriting Without Tears is a fabulous program. I have been amazed how much more confident my daughter is at writing within two short months. Not only did her handwriting improve but she grasped letters and numbers so much better! It is so well structured that your child learns so much in just a few short lessons. Isabella loves the colorful and fun workbook as well as the hands-on activities that come with it, such as the chalkboard and wood blocks. Four-year-old Isabella proudly displays her handiwork from the Handwriting Without Tears Package K (#HWK). 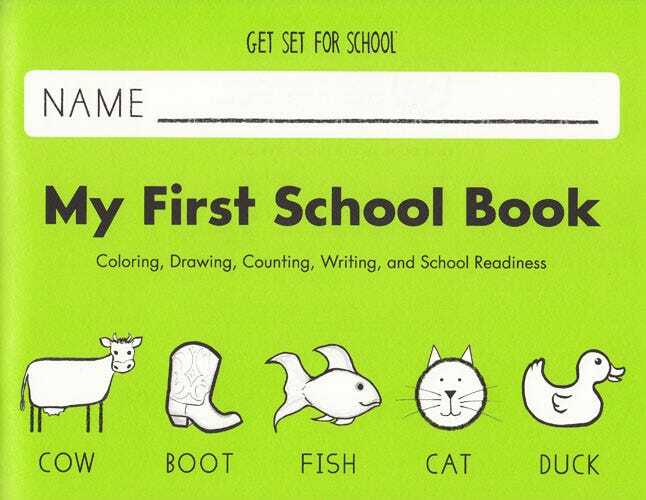 Get Set for School® is a "crayon only" workbook for four- to six-year-olds at a Pre-K level. It uses a developmental sequence for shapes, pre-strokes, letters and numbers. The workbook helps your children develop coloring, drawing, counting, and beginning writing skills. The large, bold illustrations are easy to color and so appealing that they encourage questions and conversation. This guide is intended for use with the Get Set for School® Pre-K workbook. Three-dimensional shapes are integral to the Handwriting Without Tears Readiness Program. Foam mat, similar to a mousepad, for laying out the capital letter wood pieces (KL175). 5" x 7" slate for printing letters and numbers. 100 Sheets of 2-line, 5/8"-ruled paper for use with Handwriting Without Tears programs.